I added a magnetic holster block for my Sig P226 SE recently. It arrived within days of ordering it and it fit without adjustment. This design works perfectly. My pistol is secure and draws short and precise. I've had this holster a month now. It does what I expected and was simple to set up. 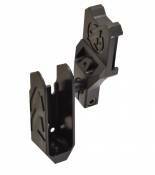 Purchased 2 Inserts - for CZ Czechmate and Tanfoglio Xtreme custom gold team. 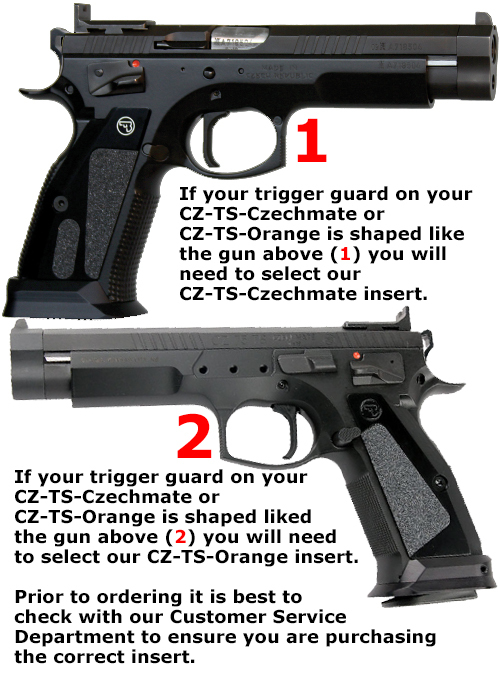 For CZ it is perfect. No need to adjust at all. Can use also for TS Orange. Win Tanfoglio it is a big design mistake. 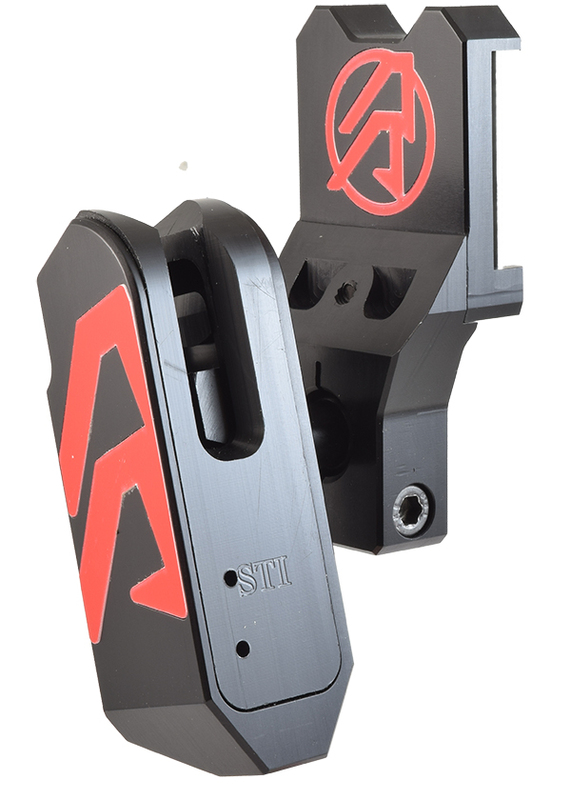 If you have any Tan Xtreme line gun with square trigger guard be ready to spend a lot of time to cut off at least 1/8\" along the entire side of the block in order to fit it. [DAA reply]: wrong insert was ordered - you should have selected the Stock III insert and not Stock II. Great holster fits my race guns and limited guns perfect and secure. 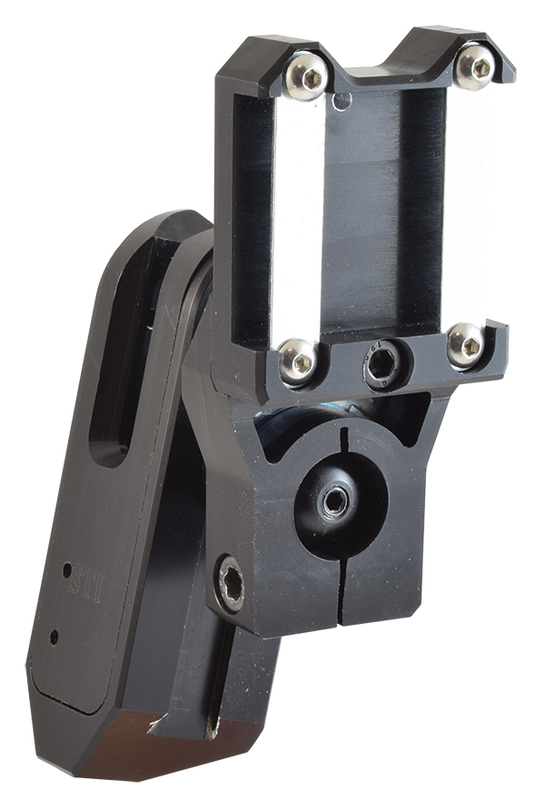 Something that is not mentioned is you need two parts now the holster is $260.00 You will need the thigh pad the extension ball joint if you are running a open gun with steel grips. My experience with my open guns is that the muzzle is digging into my leg so the thigh pad helps if you wrap it with pipe insulation. 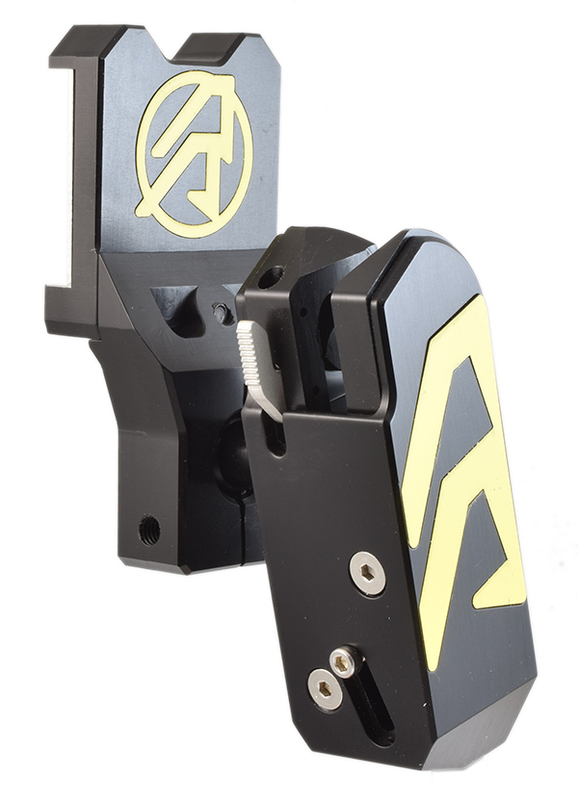 Also the ball joint extension helps to get the gun away form your leg. Great holster! Lightweight, sturdy comfortable with the thigh pad! Easy to change out the different blocks for different guns! double alpha toujours du matériel a la pointe un plaisir de travailler avec vous merci. 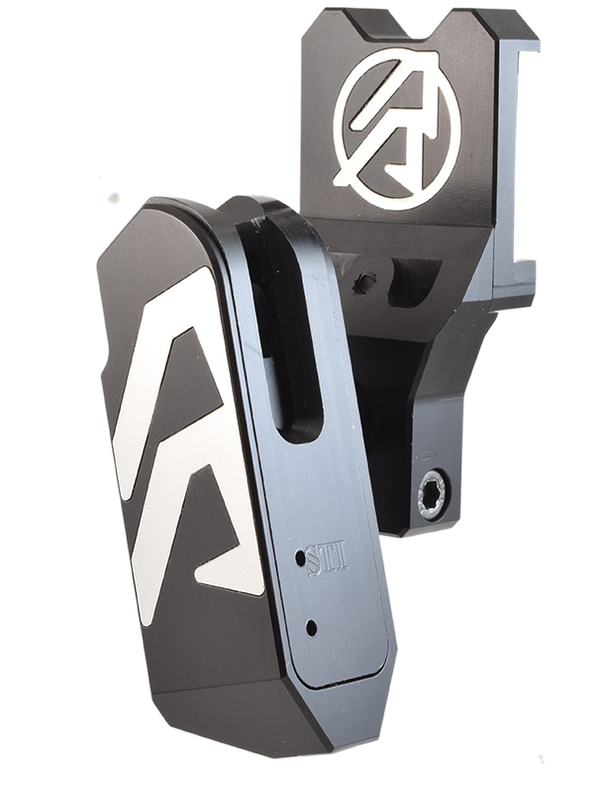 First Alpha X Holster for IPSC. Good Quality and well through. As always, your products are high quality and work as advertised. 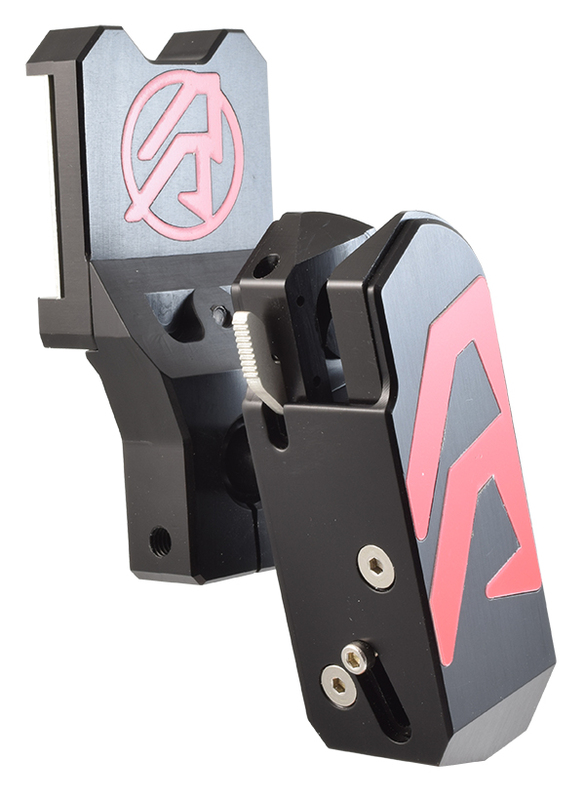 I own several magnetic block assemblies and change them per activity to use the weapon best suited for the course of fire. I love the complete rig and will only use your products in competition. Thank you for your attention to detail and craftsmanship! 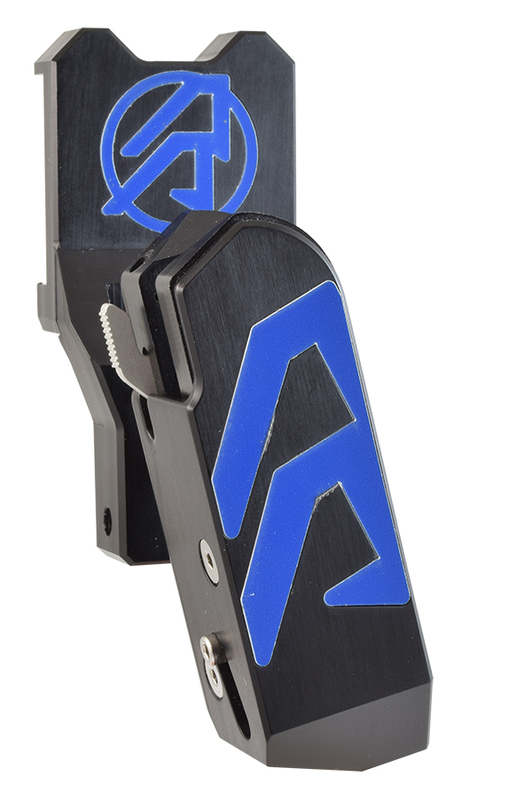 * This is a complete Alpha-X holster with insert block of choice. Q: Which gun types the Alpha-X supports? 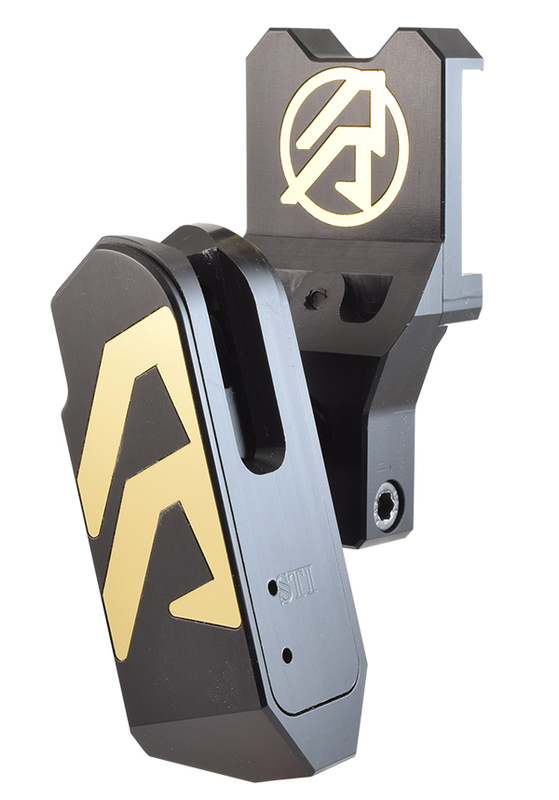 A: The Alpha-X holster uses the very same insert blocks as the Race Master holsters therefore it supports all Race Master holster gun types. Q: Are the insert blocks for the Alpha-X magnetic? Q: Is it possible to swap the color inserts later on?